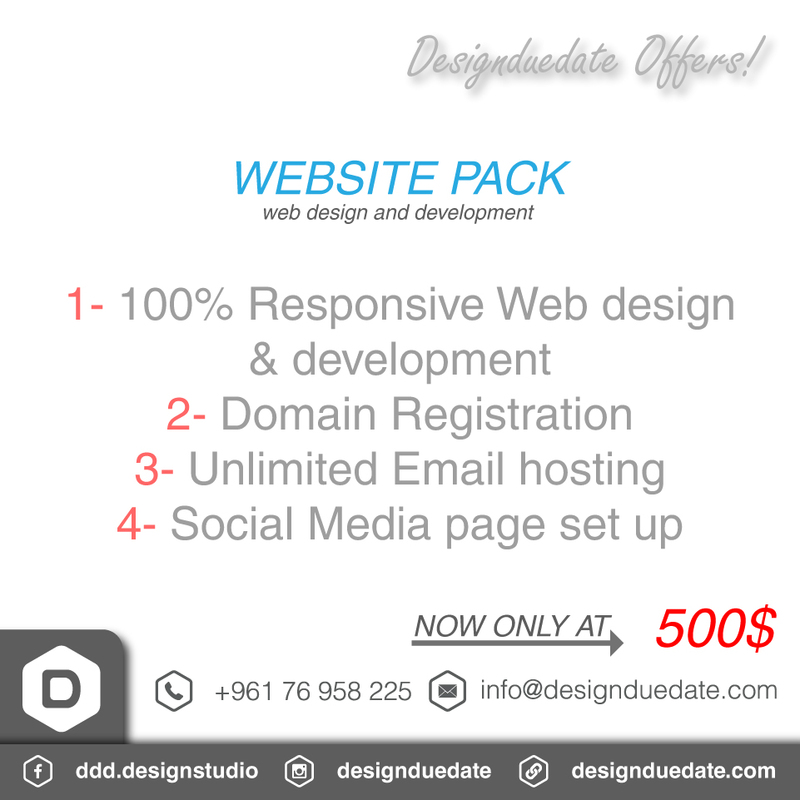 At Designduedate we guarantee our creative work will enhance your business image & give you better exposure. A union of substance and style, your brand is how your customers see your business. It’s what makes you unique. It’s what makes you desirable. DDD is a Lebanese creative studio. We combine expertise in brand strategy, graphic design, web design and communication to help businesses define their brand – to define who they are and how to engage their audience. Our Brand Identity Service is ideal for startups and entrepreneurs looking to launch their business with a complete brand identity system including a primary logo mark, a secondary mark, an official brand pattern and other identity system elements. 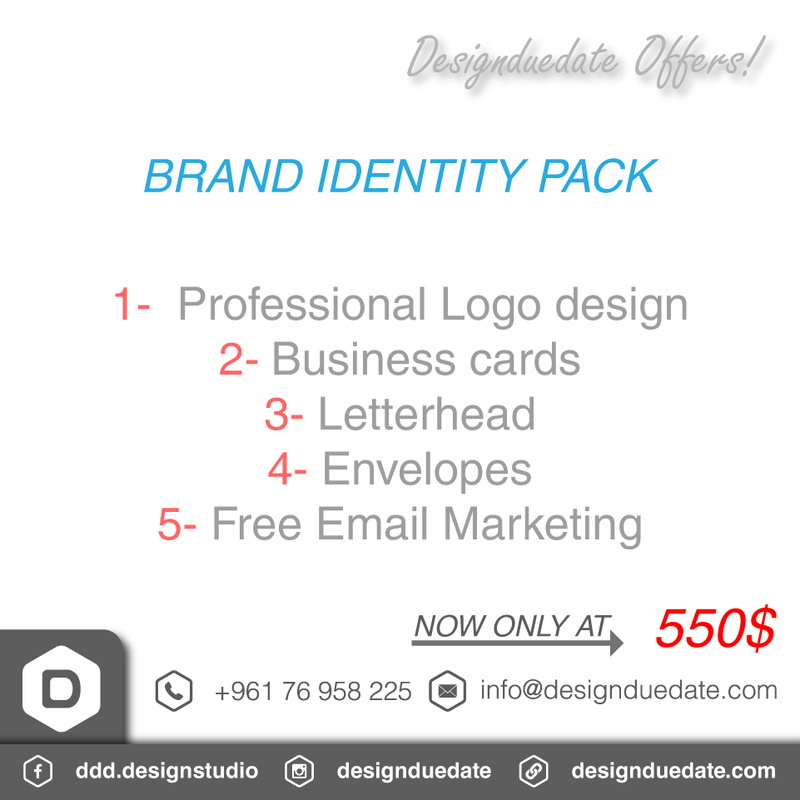 Designed our talented designers, your brand identity system will elevate your brand to the Fortune 500 realm, create brand awareness and destroy your competition from the get go! In addition, a logo is one of the most important elements of a brand image, there are others that are as important and perhaps sometimes even more like for instance the brand naming. An Identity System is a collection of elements which work together to create a unified, consistent and flexible brand assets that communicate the brand value to the target audience effectively. A brand style guide will enumerate your logo design and identity specs. Usage guidelines including how to and how not to use your identity design.